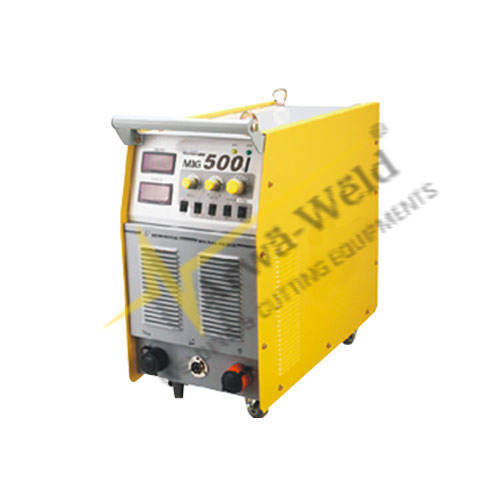 Leveraging upon our vast knowledge, we are busy in manufacturing and supplying an excellent range of Multi Function Welding Machine. The offered MIG series Multi Function Welding Machine are inspected by our quality inspectors for supplying defect free range. Moreover, our MIG series Multi Function Welding Machineare processed with the usage of quality proven material & cutting edge technology. Our customers can take these welding MIG series with different customization options at industry leading rates. Commenced in the year 2007, we, “Arwa Weld Technologies”, are well-known in the industry as one of leading Manufacturer, Supplier, Wholesaler, Importer of a comprehensive range of Welding Machines. The range of offered by us comprises Welding Machine, Electric Welding Machine and Heavy Duty Welding Machine. The equipment offered by us is manufactured employing modern machinery and cutting-edge technology, in-tune with the industry set norms and guidelines. Additionally, to manufacture the equipment we make use of optimum-grade materials that are sourced from the accredited vendors of the industry. We have developed a sophisticated and spacious infrastructure facility, which is laced with modern machinery and technology. Enables us to cater to the voluminous demands of customers, our infrastructure is segregated into different departments for hassle-free production. All these departments are handled by our team of professionals, which holds ample knowledge of this domain. Further, providing timely delivery of consignment, we have gained huge client-base. We are importing our products from China.